The Crazy Monkey dunk tank is tons of fun with a huge tank and viewing window so you can see the person you dunked get soaked. 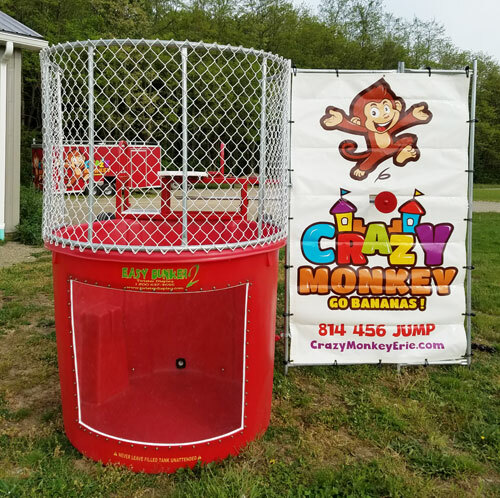 Cool off this summer or dunk your boss for lots of fun for a fundraiser, school party, or event. Test your skills by hitting the target. Price includes delivery and set up in our local area. You will need to provide the water but we supply the hose. It takes about 45 min - 1 hr to fill but don't worry we will set up early so you have enough time to get it filled to the top!